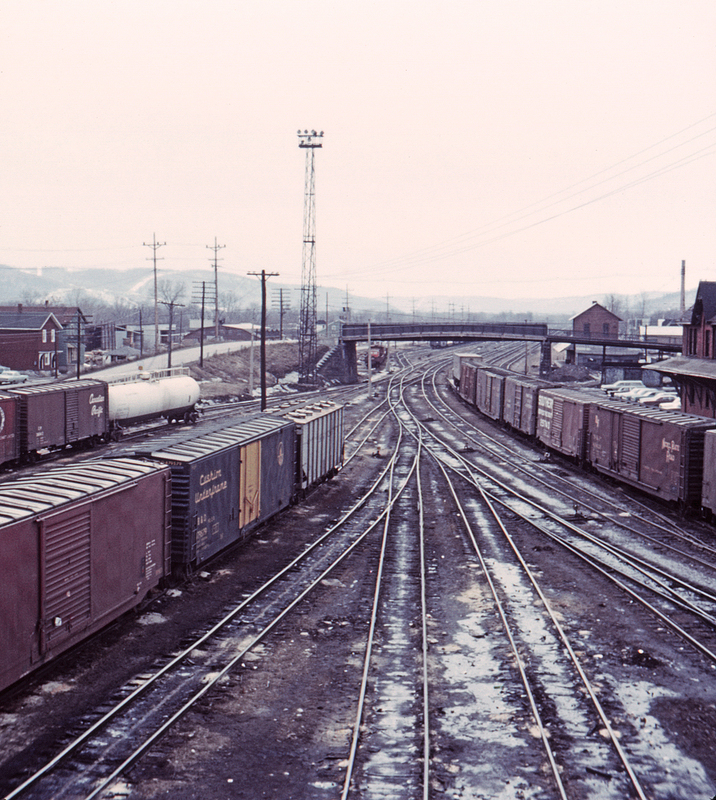 Packer Avenue in effect broke the Lehigh Valley's Sayre, Pennsylvania yard complex in two, with a narrow throat connecting the north and south segments. The station is just visible at the far right. This view looks south from the Lockhart Street footbridge.